Talk about a race to the bottom. There is a kind of xenophobia Olympics going on at Fox News. Primetime hosts Tucker Carlson and Laura Ingraham appear to be locked in a fierce competition over who can say the ugliest thing about immigrants. These two media figures — who can seem like a cross between demagogues and circus clowns — keep trying to outdo one another. Every slight is worse than the one before. Carlson seemed like a shoo-in thanks to his condescending attacks on any immigrant foolish enough to go on his show. A favorite piñata is Cesar Vargas, a Mexican immigrant and lawyer, who tends to get under Carlson’s skin. Maybe it’s because the young man is self-made. Unlike Carlson, he didn’t grow up in La Jolla, California, with a father who was a well-known television executive and a stepmom who was the heiress to a frozen food fortune. Unlike Carlson, he didn’t start off on third base by going to a fancy prep school in Rhode Island and an expensive private college. Vargas was stunned. It’s like I always say: Mexicans are too nice. I would have liked to see Carlson try that garbage on an Irish immigrant in Boston at the dawn of the 20th century. A brawl would have broken out. More recently, Carlson erupted when arguing with Vargas over whether the undocumented should have the right to vote. Vargas thinks they should. “As a nation, we have matured from only free, land-owner, white people [having the right to vote] — to now women and African-Americans,” Vargas said. Guess they don’t teach manners — or civics — in prep school. Vargas has the right to stay in the United States because he has a green card. Good try, Tucker. The anti-Catholic know-nothings of the early 20th Century would have been proud. But I’m afraid you only get the silver. The gold goes to Ingraham, who showed last week that she can sling invective with the worst of them. She had the race card up her sleeve. She stirred a hornet’s nest when she said that America — this country of immigrants — was being ruined by immigrants. In other words — as was said about the Italian, Jewish and Irish immigrants of a century ago — there goes the neighborhood. And then we have the loony assertion that these “massive demographic changes” that give Ingraham the willies were “foisted” upon innocent Americans. Well, no one forced them to hire their housekeeper, nanny and gardener, did they? Americans aren’t so innocent. With her four-alarm code words, Ingraham isn’t just out of line. She is also out of step with the mainstream. It’s not just “progressives” who appreciate those who play by the rules and migrate legally. A recent Gallup poll asked respondents: “Is legal immigration a good thing or bad thing for the country?” Eighty-four percent said it was a good thing; only 13 percent said it was a bad thing. Times are hard. It’s nice to know that the folks who make up that small minority always have jobs waiting for them hosting shows at a cable network that must find it difficult to cover a country it doesn’t know the first thing about. 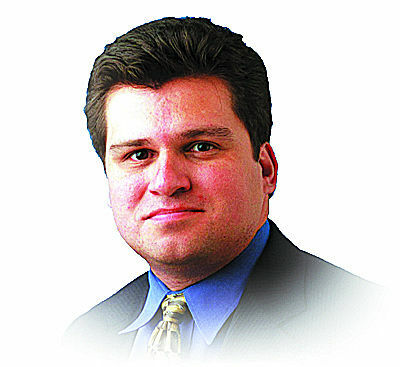 Ruben Navarrette Jr. is a columnist for the Washington Post Writers Group. His email is ruben@rubennavarrette. com. His daily podcast, “Navarrette Nation,” is available on apps.